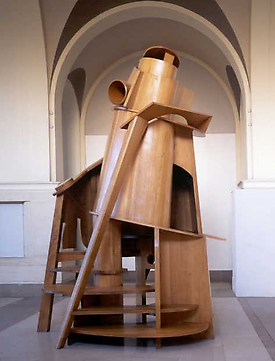 The splendid rooms of the Museo Correr will be the setting for the first major Italian retrospective dedicated to one of the greatest of living sculptors: Sir Anthony Caro (New Malden, Surrey, 1924). The versatile British artist has radically “revolutionised” his art. After a strictly figurative beginning, under the influence of his teacher, Henry Moore, he drifted away from sculptural tradition to create revolutionary assemblages, welded and bolted together, painted in bright colours and positioned on the floor within the viewer’s space; these were abstract works but rich in ideal content. This new, fascinating sculptural language established him as a key figure in the development of 20th century sculpture alongside David Smith, Mark Di Suvero and Richard Serra. His favourite material is steel, but Caro also experiments with many other materials, including bronze, wood, paper and lead. His assemblages of two-dimensional metal elements became the emblem of new British sculpture, a starting point and influence for all the later generations. A symbol of all that is new and modern in sculpture, Anthony Caro is present in all the most important international events: it is worth recalling his first personal show at André Emmerich in New York in 1964, his participation, as the only sculptor, at the British pavilion of the 1966 edition of the Venice Biennale, the retrospective at the MoMA in New York in 1975, the 1984 exhibition at the Serpentine Gallery in London, and, finally, his work with Normal Foster for the Millennium Bridge. 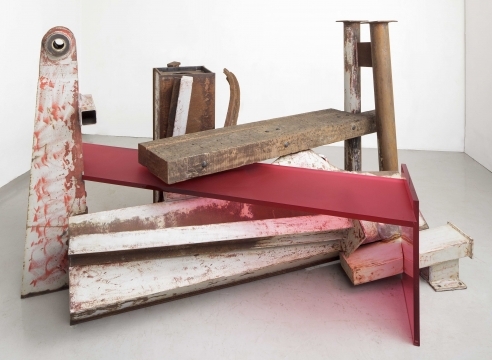 In 2004, the Tate Modern in London celebrated his 80th birthday; now it will be Venice to celebrate the charismatic personality of Sir Anthony Caro.